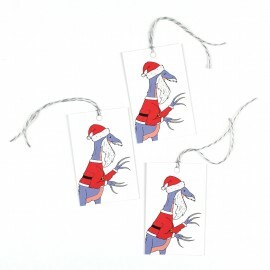 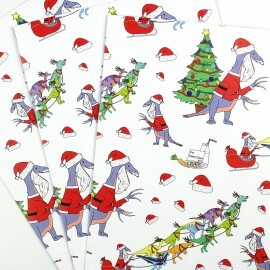 Funny non-traditional Christmas card featuring a dinosaur with long claws dressed up as Santa. 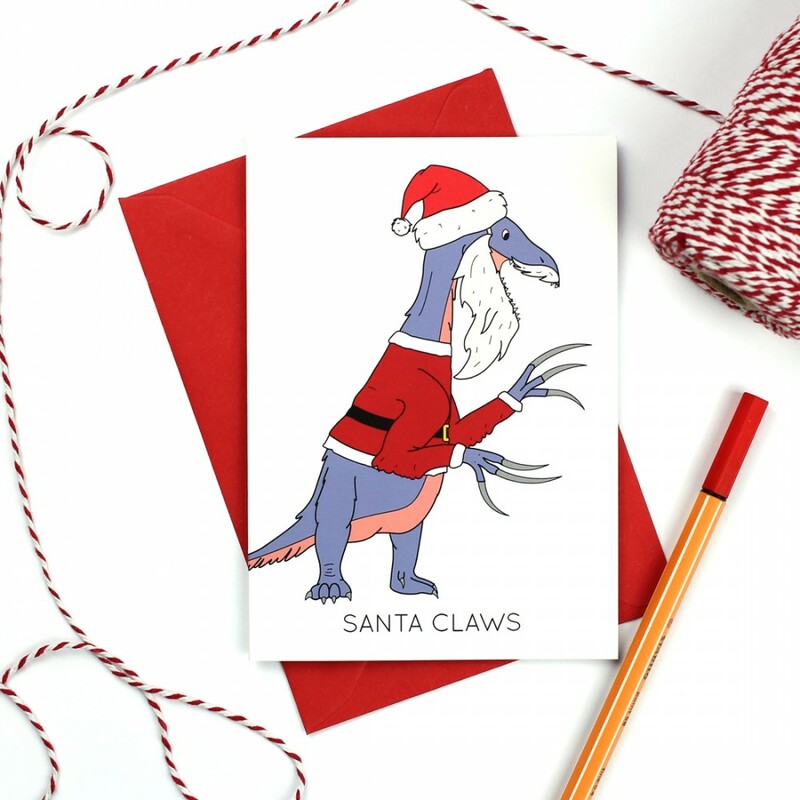 This card features a blueish purple Therizinosaurs wearing a Santa Hat and coat creating the funny pun 'Santa Claws' because if its massive claws! 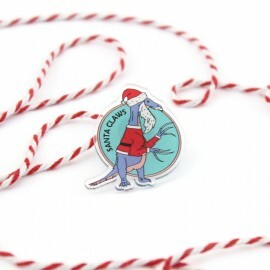 The text 'SANTA CLAWS' is written under the drawing.